Find out how Korea Expressway improved inbound call routing, reporting and monitoring to help fuel company performance and improve citizen interactions. 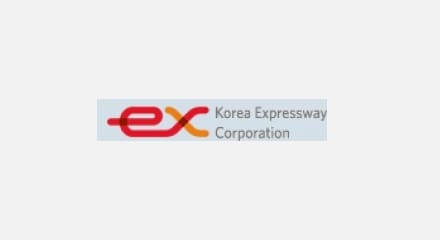 Korea Expressway Corporation (KEC) is a public sector body that constructs and manages high-speed toll roads throughout South Korea. KEC needed to deal efficiently and quickly with inquiries from road users about tolls, traffic conditions and the state of the roads. However, frequent system crashes in the KEC Traffic Information Center, especially at busy times, meant calls were unable to get through, leaving both callers and KEC agents frustrated. KEC turned to Genesys for a new contact center solution that delivers reliable call handling around the clock, along with improved routing using IVR to identify why callers are calling and to direct them to an appropriately-skilled agent. The Genesys solution also provides sophisticated management reporting to help the company drive performance improvements in the contact center as it takes on responsibility for supporting an ever longer road network. Since introducing the Genesys solutions, KEC has been able to reduce the time taken to answer calls and resolve queries from the public. Managers can track estimated wait times in real time and take action to maintain service levels, and agents are more productive―not just because the system is simple and more reliable, but also because the reporting provided by Genesys has allowed managers to identify ways to improve how the contact center operates. “Genesys delivers stability, scalability and versatility, and provides the tools needed to create significant improvements to contact center operations, backed by excellent delivery from a local business partner,” said Mr. Ji-Sung Ahn, IT Manager of Korea Expressway Corporation.